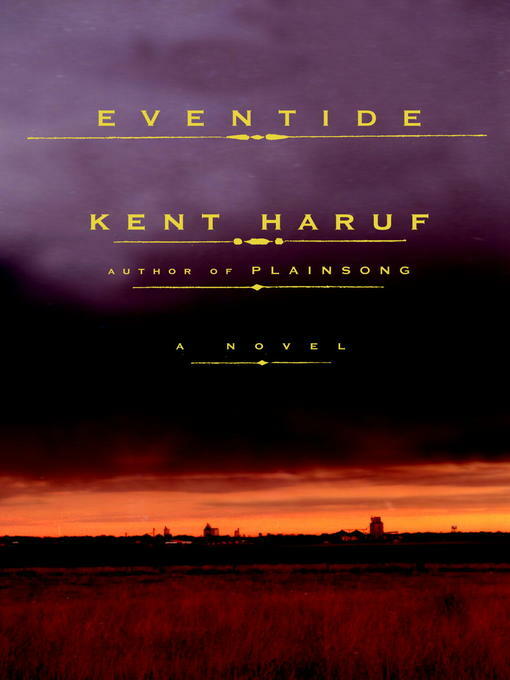 Kent Haruf, award-winning, bestselling author of Plainsong returns to the high-plains town of Holt, Colorado, with a novel of masterful authority. The aging McPheron brothers are learning to live without Victoria Roubideaux, the single mother they took in and who has now left their ranch to start college. A lonely young boy stoically cares for his grandfather while a disabled couple tries to protect their a violent relative. As these lives unfold and intersect, Eventide unveils the immemorial truths about human beings: their fragility and resilience, their selfishness and goodness, and their ability to find family in one another.